More than a shopping destination, Cameron Village is a beloved fixture of Raleigh history. The retail center has been so much a part of residents’ lives for decades, the Cameron Village website devotes a whole section to peoples’ fond memories of the place. Shoppers tell of buying fancy party dresses, then, years later, buying clothes for their kids. They share memories of visiting Santa, nibbling fresh oatmeal cookies from the bake shop, buying their first make-up. Visitors shop for clothing, fine jewelry and luggage; dine on Japanese cuisine or eat at the first-ever two-story Chick-Fil-A; gather for events at The Meet Up Space; enjoy a yoga class. When it opened in 1949 with three stores and one restaurant, Cameron Village became the first shopping center between Washington D.C. and Atlanta. The 500,000-square foot village continually reinvents itself to stay modern and relevant, undergoing several renovations over the years. 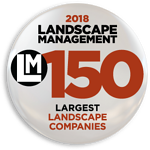 While six square blocks of brick, mortar, concrete and glass bring customers here, all that hardscape needs the softening touch of landscaping. So in 2006 they hired Greenscape Inc. to pack a visual punch with flowers. 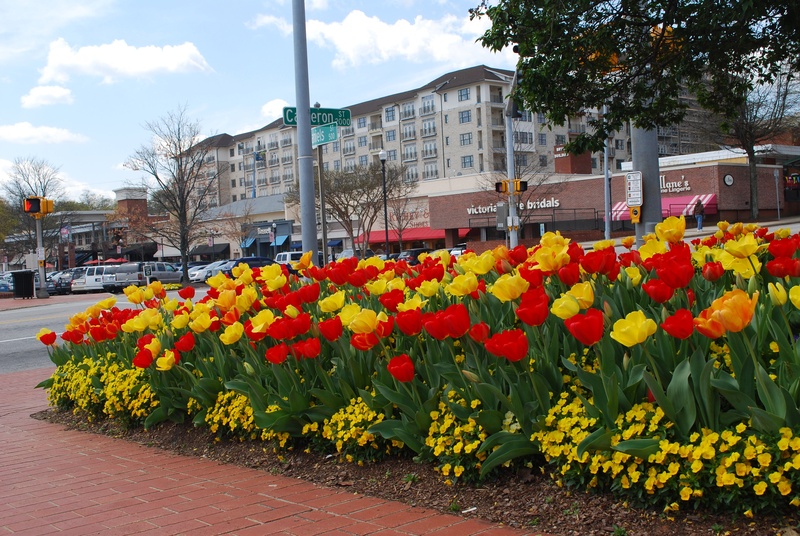 Cameron Village has a floriculture-only contract with Greenscape Inc., to install and maintain flower beds, planters and living walls. (More on the stunning living wall features later.) They’re one of the only area landscaping companies to do floriculture only, without an accompanying maintenance contract. That means a whopping 160 large-scale planters on the property. Don't expect run-of-the-mill plants. These hip-height planters are designed to impress. 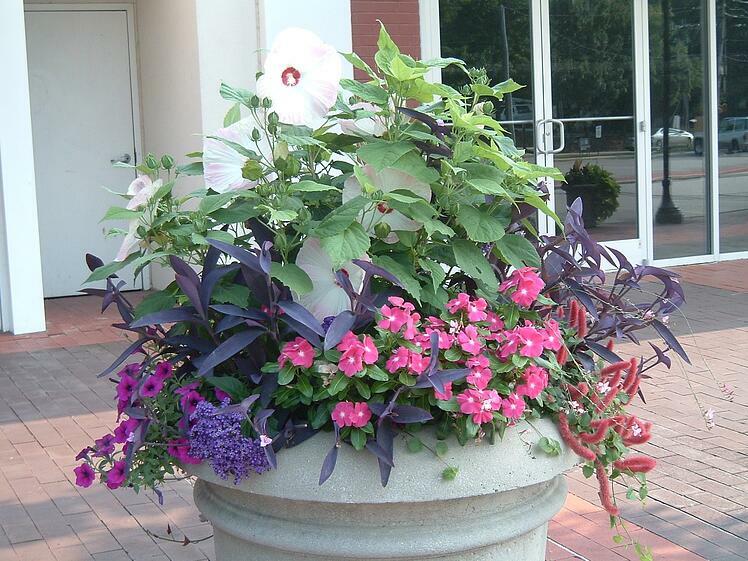 They feature exotic palms, bird of paradise, hibiscus, shrimp plant, elephant ears and dramatic ornamental grasses. These stunning tropicals anchor the planters from May through the summer months. Then, in October, pansies, violas and evergreens take over. Flower beds throughout the property feature more tropicals, grasses, lantana, begonias, daisies and angelonia. The village’s entry signs are low, so low-growing plants are key here, so as not to obstruct the signs. Vinca, lantana and begonias fit the bill. Spring features an awe-inspiring explosion of colorful tulips — as many as 5,000. 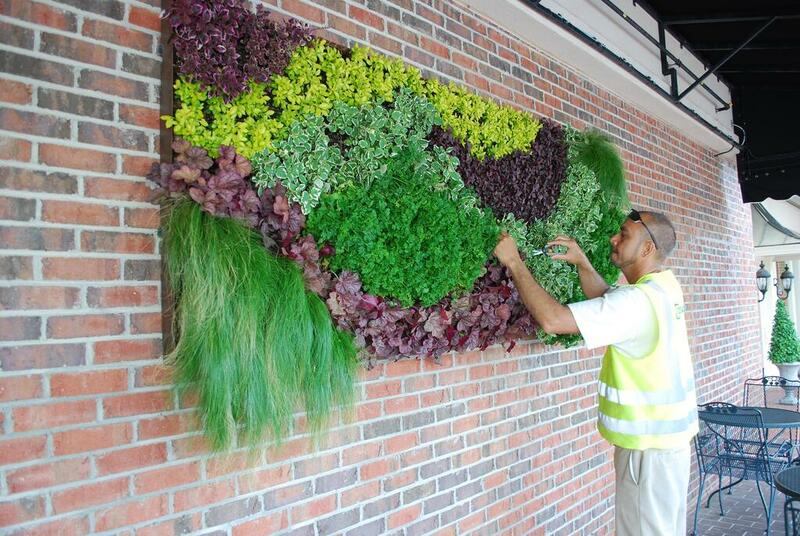 The most talked-about floral feature here at Cameron Village is the array of innovative “living walls” — vertical gardens Greenscape installs each May. A highlight this year is an impressive 3-D hummingbird that begs you to ruffle its colorful feathers. A recent installation near the library was entirely edible, planted with fragrant herbs, crisp lettuces and juicy cherry tomatoes. One double-sided living wall is free standing, with a hole in the center. It takes a crew of six to eight an entire week to install the intricate walls, Herndon says. They’re worth the time, effort and expense, Kanik says. “They’re so unique and innovative,” he says. “They really grab peoples’ attention.” They also invite strolling — and shopping — as visitors walk the center to see the installations. 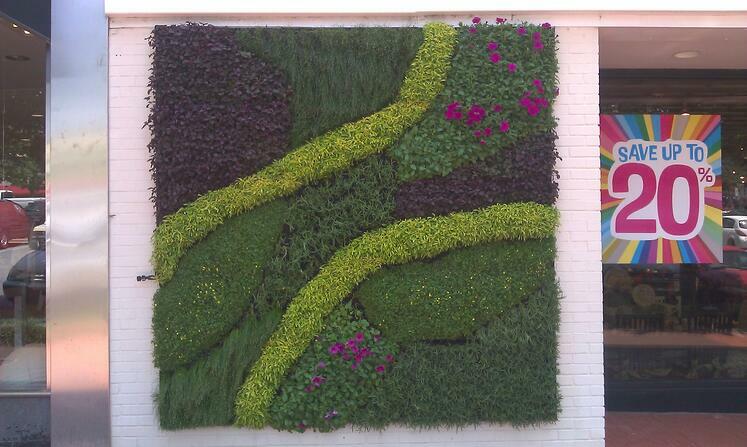 Kanik loves tying the living wall themes to community events. One year Herndon re-created “Twilight Venice” by Monet in flowers when the famous painting was at the art museum. When an Egyptian exhibit came to town, Kanik asked her to create an Eye of Horus, an ancient Egyptian symbol of protection and good health. All these flowers need plenty of water during the sun-drenched summers, so Greenscape’s hand watering service is a key player here. A crew person is stationed at Cameron Village full time, based in a Greenscape office on site. In addition to watering, she handles all the weeding, dead heading and mulch touch-ups, too. “We spare no expense to have everything hand watered and to have plants that are the absolute best,” Kanik says. 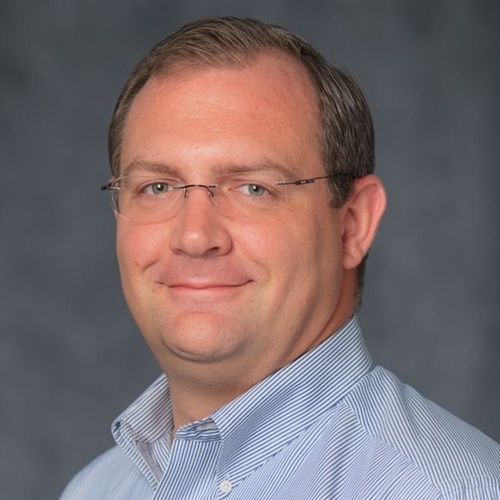 Herndon says the Cameron Village account runs so smoothly, they only need to communicate with Kanik about once a month. Greenscape crews are sensitive to merchant needs. When they install flowers, they don’t park their trucks right in front, taking up all the parking spots. It means they have to walk more, hauling many carts of flowers, she says, but the feedback is worth the effort.